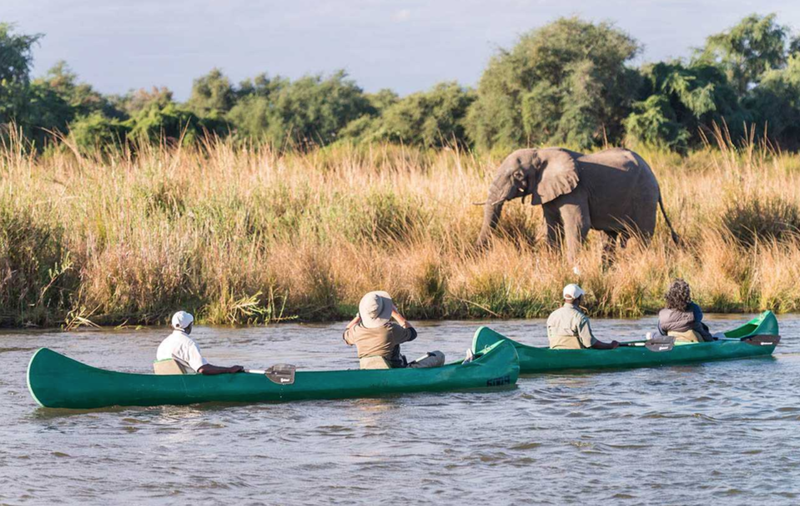 Option #3 is a 3 night stay at the Anabezi Lodge off the banks of the Zambezi River in Zambia. You would leave the day after your mission trip (usually on a Saturday) and take a one hour flight to Jeki Airstrip which is near the lodge. Located on the banks of the Zambezi River in Zambia, you’ll find the exquisite Anabezi Lodge. Anabezi Lodge is made up of twelve spacious, secluded tents, raised on timber platforms to give you a magnificent view of the Lower Zambezi National Park. Its name, derived from the Ana Trees, or Winter Thorns, that surround it, is more than a luxurious camp, but home to all kinds of wildlife. You will spend three nights in the Anabezi Lodge. Where the Zambezi River and Mushika Flood Plain meet, is also the meeting spot for hundreds of animal species. Come morning or night, you’ll be greeted with an array of game from the comfort of your tent. In an open 4x4 safari vehicle, you can explore the Lower Zambezi National Park when the sun goes down. Tending to laze around during the day, spot the big cats as they wonder around at night, hunting their prey. From the sounds of Africa at dusk, to the beautiful starry sky, it is a drive to remember. All game viewing activities – fishing costs $5 more per fishing trip. Park fees for non residents of Zambia are $100 per day. This can be paid in advance or at the Lodge.